The workgroup for Palestinians in Syria has warned of Lebanese plans to block entry of Palestinian refugees from Syria into Lebanon. The workgroup warned in a press release on Sunday that any such procedure would double the suffering of those refugees in Syria. It said that a “special source” told the group that the Lebanese general security was planning to issue directives to that effect. 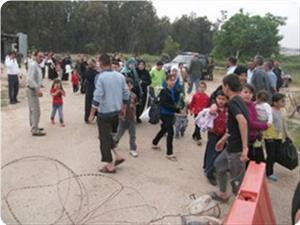 A number of Palestinian refugees, who reached Lebanon from Syria recently, sent messages to the workgroup telling of very bad treatment at the borders on the part of the Lebanese crossings officials and in official circles. Three Israeli military aircraft have penetrated Lebanese airspace and flown over several areas of the country in a blatant violation of a UN Security Council resolution. An Israeli unmanned aerial vehicle entered Lebanon’s airspace over the southern village of Kfar Kila, located about 96 kilometers (59 miles) south of Beirut, at 6:15 a.m. local time (0315 GMT) on Sunday, according to a statement issued by the Lebanese military. The remote-controlled aircraft carried out surveillance flights over Chouf, Matn, and West Bekaa areas in the west before it left the Lebanese airspace at 4:05 p.m. local time (1305 GMT) while flying over the border town of Alma al-Shaab. Two Israeli fighter jets crossed into Lebanon's airspace over the southern village of Jbeil, situated 42 kilometers (about 26 miles) north of Beirut, at 11:40 a.m. local time (0840 GMT). The warplanes flew over several areas in Lebanon and left the Lebanese airspace at 1:10 p.m. local time (1010 GMT) while flying over the southern village of Rmeish. Israel violates Lebanon's airspace on an almost daily basis, claiming the flights serve surveillance purposes. Lebanon's government, the Hezbollah resistance movement, and the UN Interim Force in Lebanon known as UNIFIL have repeatedly condemned the overflights, saying they are in clear violation of UN Resolution 1701 and the country's sovereignty. UN Security Council Resolution 1701, which brokered a ceasefire in the war of aggression Israel launched against Lebanon in 2006, calls on the Israeli regime to respect Lebanon's sovereignty and territorial integrity. In 2009, Lebanon filed a complaint with the United Nations, presenting over 7,000 documents pertaining to Israeli violations of Lebanese territory. Five Israeli military aircraft have penetrated Lebanese airspace and flown over parts of the country in flagrant violation of a UN Security Council resolution. An unmanned aerial vehicle crossed into Lebanon's airspace over the southern village of Kfar Kila, located about 96 kilometers (59 miles) south of Beirut, at 7:15 a.m. local time (0415 GMT) on Tuesday, according to a statement issued by the Lebanese military on Tuesday. The remote-controlled aircraft carried out surveillance flights over several areas in southern Lebanon before it left Lebanese airspace at 3:50 p.m. local time (1250 GMT) while flying over the southern village of al-Naqoura, which is situated 91 kilometers (57 miles) south of Beirut. Later in the day, two Israeli fighter jets entered Lebanon's airspace over Kfar Kila at 1:10 p.m. local time (1010 GMT). The warplanes flew over several areas in Lebanon before leaving Lebanese airspace at 3:50 p.m. local time (1250 GMT) while flying over al-Naqoura. On Monday, an Israeli drone crossed into Lebanese airspace over al-Naqoura at 7:30 p.m. local time (1630 GMT). The aircraft made surveillance flights over several areas in southern Lebanon, including the towns of Riyaq and Baalbek, before it left Lebanese airspace at 1:25 p.m. (1025 GMT) on Tuesday while flying over Kfar Kila. In addition, an Israeli unmanned aerial vehicle crossed into Lebanon’s airspace over al-Naqoura at 1:45 p.m. local time (1045 GMT) on Monday, and conducted surveillance flights over the Western Bekaa region before it left Lebanese airspace at 4:30 p.m. local time (1330 GMT) while flying over Kfar Kila. Lebanon's government, the Hezbollah resistance movement, and the UN Interim Force in Lebanon, known as UNIFIL, have repeatedly condemned the overflights, saying they are in clear violation of UN Resolution 1701 and the country's sovereignty. UN Security Council Resolution 1701, which brokered a ceasefire in the war of aggression Israel launched against Lebanon in 2006, calls on Israel to respect Lebanon's sovereignty and territorial integrity. 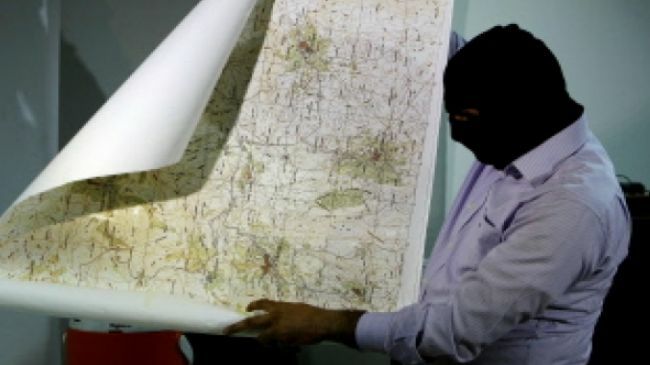 Lebanon’s resistance movement of Hezbollah has arrested a Lebanese national in the city of Baalbek on charges of cooperating with Israel’s Mossad intelligence agency. The arrested Lebanese national currently resides in Hezbollah’s security compound in the city, a Lebanese TV channel reported on Wednesday. More than 100 people have been arrested in Lebanon on suspicion of collaborating with Mossad since April 2009, including members of the security forces and telecommunications employees. Tel Aviv has launched an intelligence war against Hezbollah following its defeat during the 33-day war against the Lebanese resistance movement in 2006. In late January, a top military court in Lebanon charged a Lebanese national with collaborating with the Israeli spying agency and passing information on the whereabouts of the Hezbollah leader. The man identified by Lebanese media as Talal Khalil reportedly disclosed information to Israel about security bases belonging to the Hezbollah resistance movement. Lebanon’s state-run National News Agency said the accused had been in contact with Israel since 2001 and could face a death sentence. 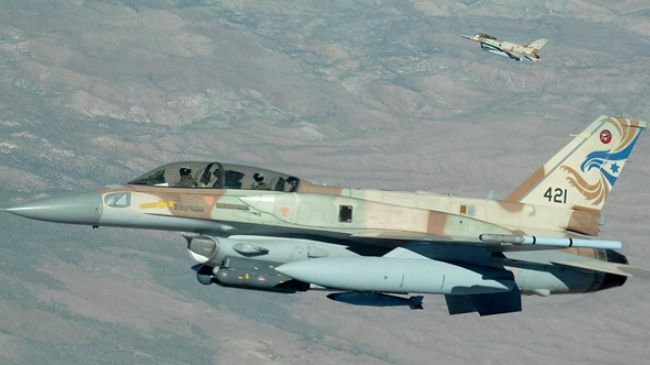 A political analyst says as long as the Israeli warplanes violate the Lebanese airspace without any reaction from the UN, Israel may use the Lebanese airspace again to launch an aerial attack against any other target in Syria. 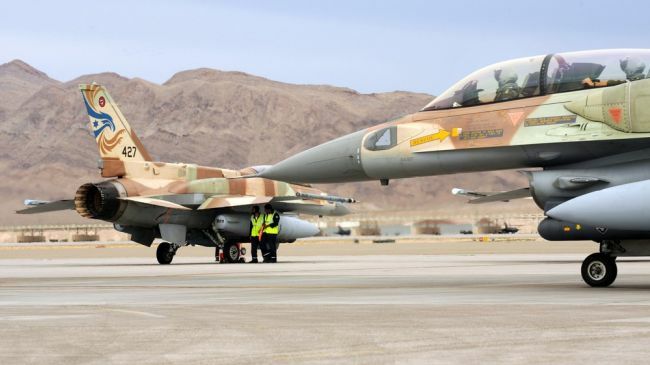 The comments came after the Lebanese army said at least 12 Israeli warplanes have violated Lebanon’s airspace, conducting several illegal flights over the country. The airspace violations, which are reported on an almost daily basis, contravene the United Nations Security Council's Resolution 1701, which ended the Israeli war on Lebanon in 2006. Press TV has conducted an interview with Elias Farhat, political analyst, to further discuss the issue. What follows is an approximate transcription of the interview. Press TV: When we look at what happened last week in terms of the time before Israel struck on Syrian soil, on the military research facility, there were lots of violations of Lebanese airspace and of course one of their claims was that they had targeted a convoy heading to Lebanon. Are we going to look at Israel perhaps continuing this supposed aim again with these violations of their airspace being twelve times in one day? Farhat: Yes, as long as the Israeli warplanes are violating the Lebanese airspace without any respond or any reaction from the United Nations and from the UNIFIL, which is in South Lebanon, Israel may use the Lebanese airspace again to launch an aerial attack against any other target in Syria. This means that the Lebanese government has to raise this issue to the Security Council because Israel uses our airspace to attack a third country which is an aggression, an act of aggression using our airspace. And we expect that Israel will do it again as soon as it finds it is possible or it sees an opportunity, a political opportunity in the region it can use again the Lebanese airspace to launch another attack against Syria’s sites under the pretext that it attacks convoys for Hezbollah which has been proved to the public opinion that it was completely false and the attack was against a Syrian military scientific site. Press TV: And I am curious, quickly if you can answer this, is Israel doing this with the pretext that perhaps it’s area that they want to annex in Syria as I am sure you are well aware by targeting Syria which in turn obviously involves violating Lebanon’s airspace? Farhat: Yes I believe that Israel is now promoting to what it says an annex of some Syrian soil or enclave in order to protect its borders but any attack to achieve this enclave or to occupy an enclave, it means a war against Syria and any war against Syria will spill over all the region. It is impossible for this war to stay in one part in Syria and even if there is a lot of trouble all over Syria, when it comes to confronting Israel I guess the Syrian government will take its decision and defend itself against any Israeli aggression or any expansion on the Syrian soil. At least 12 Israeli warplanes have violated Lebanon’s airspace, conducting several illegal flights over the country, the Lebanese army says. 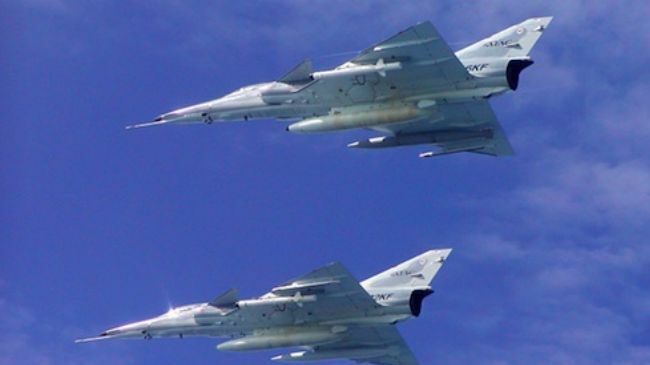 According to a statement by Lebanese army, the Israeli planes entered Lebanon's airspace on Thursday at 10:30 a.m. local time and roamed over different parts of the country. The army also stated that an Israeli reconnaissance plane flew over the southern area of Naqoura for more than seven hours. Lebanon's military often reports airspace violations by Israeli aircraft but does not usually open fire on them. The Israeli military claims the flights serve surveillance purposes. According to evidence-backed statistics submitted to the UN by the Lebanese government in 2009, Israel had breached the provisions of the resolution on more than 7,000 occasions by violating Lebanon's airspace, territorial waters, and land border. 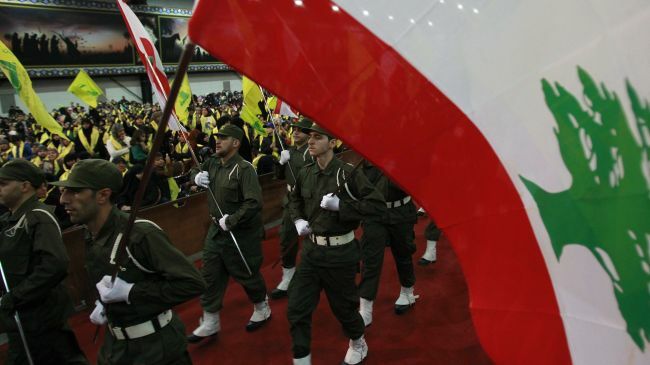 Lebanese resistance movement Hezbollah has denounced a “global terror campaign” run by the Israeli regime after Bulgaria accused the movement of being behind the bus attack that killed five Israelis last year. “Israel is running a campaign of global terror against Hezbollah in particular because it failed in its aggression and incitement against it as well as failed to find an environment suitable to prevent Hezbollah from moving,” Hezbollah Deputy Secretary-General Sheikh Naim Qassem said on Wednesday. 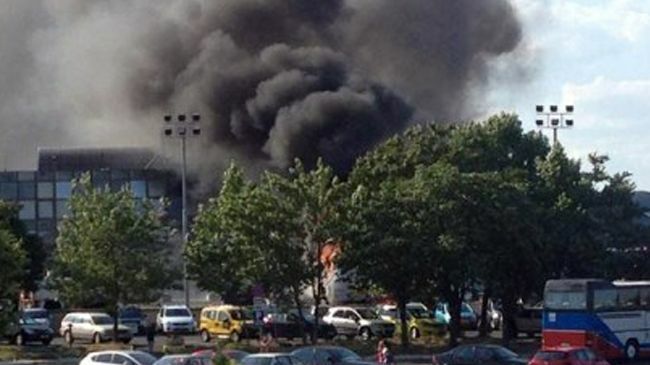 He made the remarks a day after Bulgarian officials accused the Lebanese resistance movement of carrying out a bomb attack on a bus in the city of Burgas, killing five Israelis in July 2012. 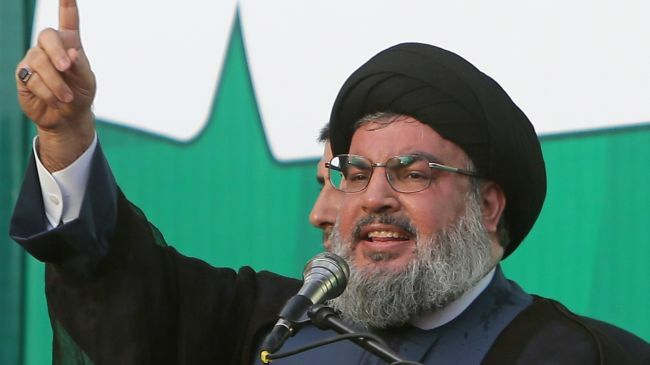 Following the recent accusation, the Israeli regime and the United States have pressured the European Union to list Hezbollah as a “terrorist” organization. Qassem added the Israeli campaign is aimed at distracting the world from the regime’s practices of aggression and occupation and to avenge its loss against Hezbollah. “Hezbollah is strong and increasing its readiness, support, and training to face these challenges and all these accusations against Hezbollah will not have any effect and will not change facts and reality,” Qassem said. Israeli warplanes have entered the Lebanese airspace and conducted 'imaging missions' in the country, according to Lebanese and Israeli media. The jets flew at low altitudes over the southern regions of Hasbaya and Marjayoun Friday morning and then headed to the eastern Bekaa Valley, security sources told the Lebanese paper Daily Star. The Lebanese sources added the violation of the country's airspace lasted for an hour. 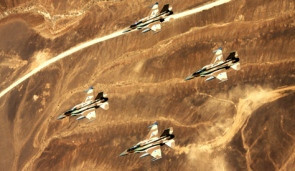 Israel Radio reported that the warplanes carried out imaging missions in the south of Lebanon. The flights violate the United Nations Security Council Resolution 1701, a measure the Israeli regime has frequently breached since its endorsement in 2006. The development comes two days after Israeli jets attacked a scientific research center near the Syrian capital, killing two people and wounding five others. 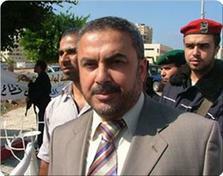 Ali Baraka, the representative of Hamas in Lebanon, has urged the Lebanese government and UNRWA to expedite the reconstruction of the devastated Nahr El-Bared refugee camp. He stressed the importance of maintaining stability in the camp, in northern Lebanon, and dealing with all pending issue through dialogue and understanding with the Lebanese authorities. Baraka, who received a popular delegation from the camp inhabitants, asked the Lebanese government to speed up the return of refugees to the camp. The head of the delegation, Sheikh Mahmoud Abu Shukair, briefed Baraka on the difficult conditions in the camp due to the slow reconstruction process, the continued displacement of thousands of its families, and the arrival of hundreds of Palestinian refugees from Syria. Minister of Awkaf and Islamic affairs in Gaza Dr. Ismail Radwan left the Strip on Wednesday en route to Lebanon to distribute financial donations to Palestinian refugees fleeing embattled Syria to neighboring Lebanon. Radwan, heading a ministerial delegation, told Quds Press on departure via Rafah border terminal that the money were donated by the people of Gaza to his ministry’s fundraising campaign last month in all Gaza mosques. The minister said that the campaign aimed at helping “our Palestinian brothers” who experience very difficult living conditions. He said that the campaign proved that the people in Gaza, despite the siege, still feel with and support their brethren who were forced to leave Syria due to the violence that has been sweeping that Arab country for almost two years. Radwan is scheduled to arrive in Lebanon on Thursday and distribute the 100000 dollars collected in that campaign during visits to those refugees. The Lebanese army has arrested a citizen suspected of collaborating with Israel, the Hezbollah-affiliated Al-Manar TV reported on Monday. Ali Taufiq Yari, a former member of the Baalbek City Council, was branded as the highest paid spy to date, as he was said to have received $600,000 for his service to the Jewish state. According to the report, Yari began working with Israel's Mossad in 1990, and had undergone intelligence training that taught him to use invisible ink, concealed radio devices and other means of communication. Various reports in Lebanon have claimed that several Israeli spy rings have been uncovered in recent years, including a major one that consisted of dozens of agents. Israeli espionage equipment was also periodically "exposed" in the country. According to Monday's report, Yari had visited Israel more than once using a fake Palestinian passport. The alleged spy was also said to have travelled to Europe and Asia to meet with his Israeli handlers. He purportedly provided Israel with intelligence on Hezbollah hubs and its communication network. 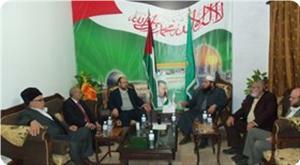 He further reported on the Lebanese army and top members in the Shiite Amal movement. The significant information he managed to pass on to Israeli intelligence officials during the Second Lebanon War prompted the Mossad to hold a ceremony in his honor, the report said. Six Israeli military aircraft have penetrated Lebanese airspace and flown over several areas of the country in blatant violation of a UN Security Council resolution. The remote-controlled aircraft carried out surveillance flights over several areas in southern Lebanon before it left the country’s airspace at 3:20 p.m. local time (1220 GMT) while flying over the southern village of Rmeish. 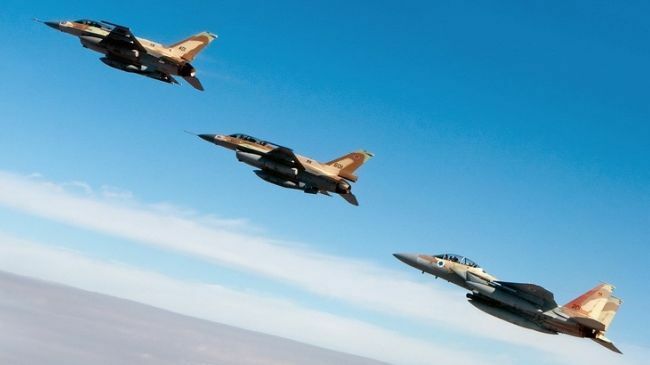 Four Israeli fighter jets crossed into Lebanon's airspace over the southern border village of Kfar Kila, located 96 kilometers (59 miles) south of Beirut, at 9:50 a.m. local time (0650 GMT). The warplanes flew over several areas in Lebanon before leaving Lebanese airspace at 11:00 a.m. local time (0800 GMT) while flying over Alma al-Shaab. The aircraft made surveillance flights over several areas in southern Lebanon before it left at 6 p.m. local time (1500 GMT) while flying over al-Naqoura. Lebanon’s government, the Hezbollah resistance movement, and the UN Interim Force in Lebanon, known as UNIFIL, have repeatedly condemned the overflights, saying they are in clear violation of UN Resolution 1701 and the country’s sovereignty. UN Security Council Resolution 1701, which brokered a ceasefire in the war of aggression Israel launched against Lebanon in 2006, calls on Israel to respect Lebanon’s sovereignty and territorial integrity.